Frida Kahlo notebook floral decor 30 white pages. Drawing: Juliette Poney. Made in Guatemala. 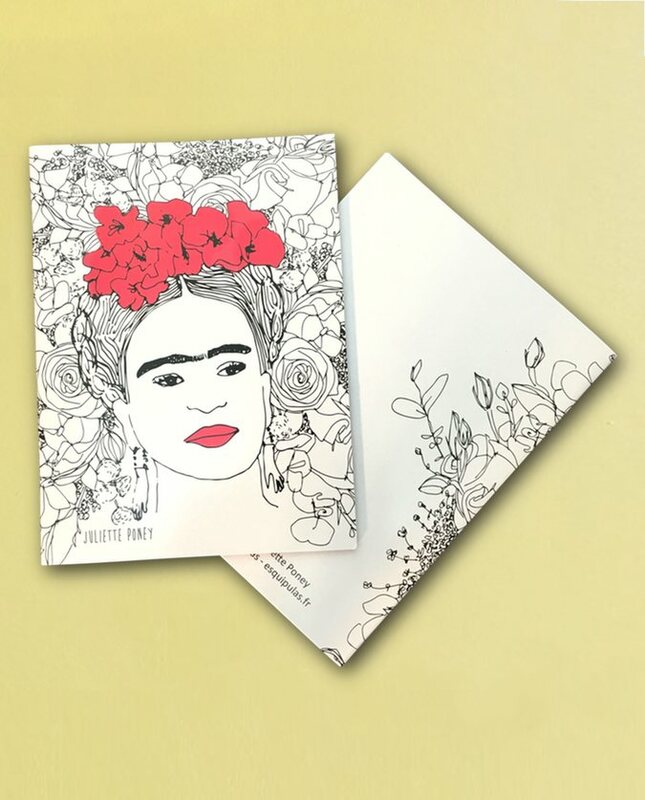 This little notebook features one of Frida Kahlo’s drawings by illustrator Juliette Poney for Tienda Esquipulas. Inspired by the flowers still present in the world of Frida, Juliette offers us this very organic result just as the forms used by Frida in his various paintings. Hand-made in Guatemala. Notebook of 30 white pages.